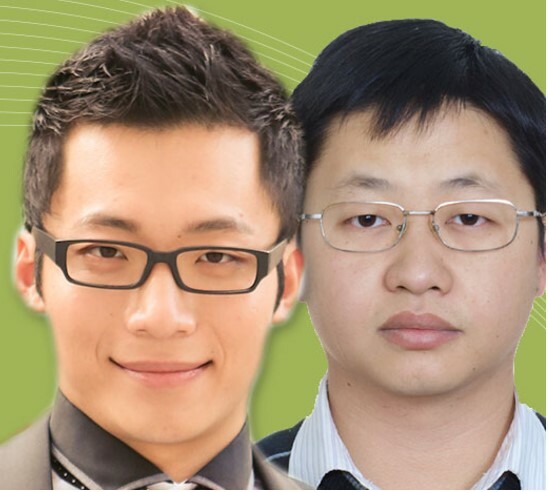 Dr. Xi-Jie Dai and Dr. Haining Wang share the prestigious Étudiants-chercheurs étoiles award (September, 2017) from the Fonds de recherche du Québec – Nature et technologies (FRQNT). This award recognizes the exceptional research contributions of university students (master's, doctorate), postdoctoral fellows and members of professional orders who are enrolled in advanced research training programs in any of the areas covered by the three Fonds de recherche du Québec. Xi-Jie Dai performed his Ph.D. research in the group of professor Chao-Jun Li, while Haining Wang was a postdoc associate in the same lab. The discoveries of Xi-Jie Dai and Haining Wang have advanced the knowledge on the formation of carbon-carbon bonds by the carbonyl addition reaction. The formation of carbon-carbon bonds, a chemical operation essential to the synthesis of organic molecules, is the cornerstone of organic chemistry. The ability to chemically synthesize chiral alcohols with a moderate degree of stereo control provides an incredible long-term potential for the effective simplification and diversification of enantioenriched major compounds in the pharmaceutical industry. Their work was also highlighted by Phys.org and ACS Green Chemistry: The Nexus Blog.